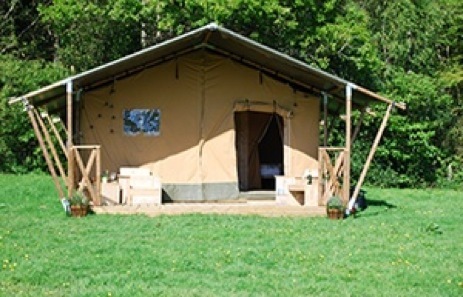 If you’re looking to spend some quality holiday time with your family and friends, with no iPods, TVs or other distractions of daily life, then come glamping in our safari tent in the beautiful East Sussex countryside. 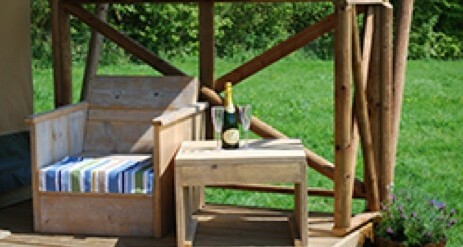 Leisurely days can be spent gathering wood for the fire pit, taking walks, or just relaxing over a chilled glass of wine on the veranda as you barbecue a feast for supper. Splash in the mud just because you can, visit the local attractions, or take a trip to the local pub where there is a friendly smile, beer on keg, and no plastic music blaring! 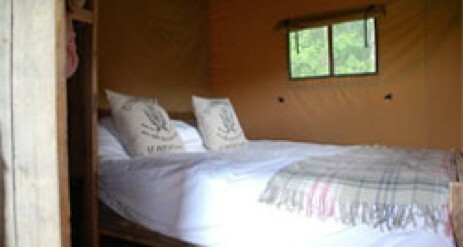 You can soak up the smells and sounds of the great outdoors, then settle in for the night, curled up on a comfy bed under 100% Egyptian cotton linens, beneath the stars. 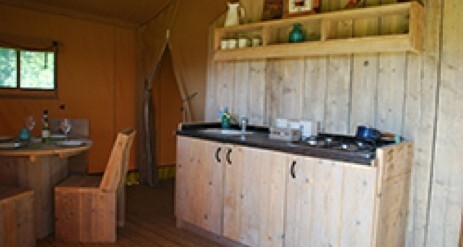 Our safari tent has running hot and cold water, and your own flushing toilet and shower. 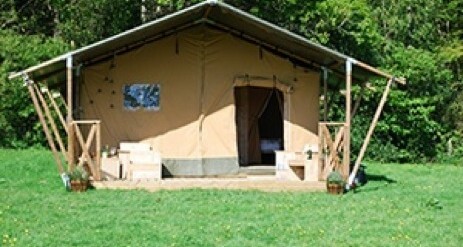 However you choose to spend your time, a warm welcome awaits you on our farm, where you’ll find your safari tent snuggled down in a private corner. 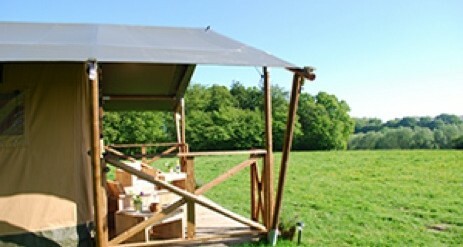 The tent comfortably sleeps four, is beautifully equipped and available to rent from £70 per night throughout the year with an arrival date to suit you. 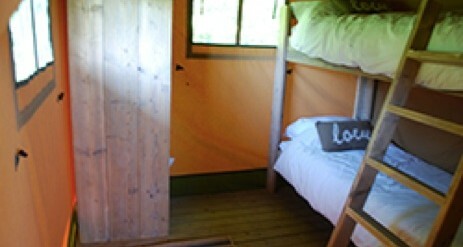 Called “The Woody” because of its stunning wooden frame, it sleeps four people comfortably and is beautifully proportioned. Remember it can get cold at night and early morning, once the fire dies down, so it’s a good idea to bring night socks and maybe even a hat and slippers. Out of the summer months, it’s best to wear lots of layers to keep toasty warm.